Despite the state's repeated findings of deficiencies in care, clinicians say Kaiser continues to neglect mentally ill patients. Kaiser psychiatric social worker Genna Brodsky said patients wait weeks for mental health appointments. Some days, Nick Garris' depression is so severe, he can barely get out of bed. The 85-year-old San Leandro man has suffered from a range of mental health problems since a 2013 knee injury impeded his mobility, according to his daughter Andrea Fritz. "He keeps going further and further into depression," said Fritz, a retired Oakland Police Department detective. "He won't get out of bed. He won't move. He just wants to die." Garris' mental health only got worse when he was unable to schedule frequent psychiatry and therapy appointments with his healthcare provider, Kaiser Permanente, Fritz said. In recent months, his psychiatrist has repeatedly told him he has to wait three weeks or more for another appointment. Kaiser has sent him to group therapy sessions in which he listens to other patients discuss their own mental illnesses — a process that sometimes further exacerbates his depression, according to Fritz. 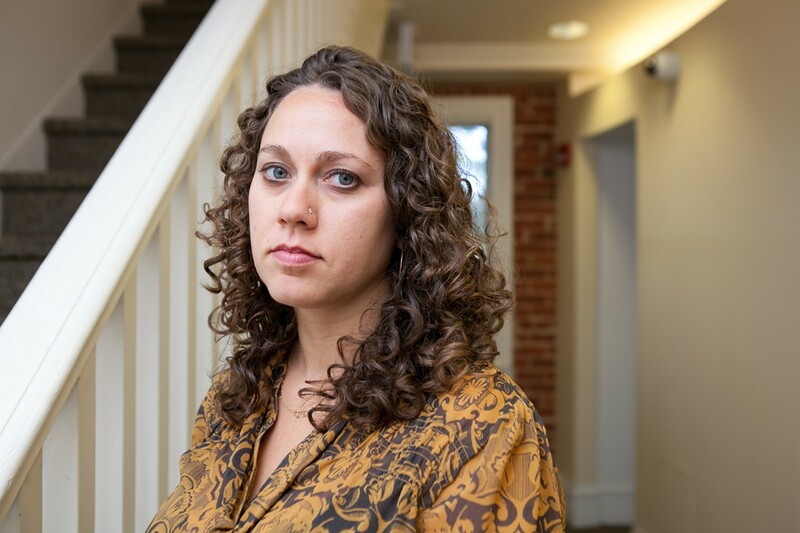 "Nick has fallen through the cracks of Kaiser," she wrote in a recent grievance against Kaiser that documented her ongoing difficulties navigating her father's medical and mental health care. Fritz filed her complaint eight months after the California Department of Managed Health Care (DMHC) raised concerns about Kaiser's mental health treatment as part of an investigation into the provider's behavioral health services. In February, DMHC concluded that Kaiser — which provides coverage to 3.8 million members in Northern California, where it operates dozens of hospitals and centers — was frequently failing to provide patients with timely access to mental health appointments in violation of state law. Kaiser was also regularly misrepresenting the services available to members in a way that "can actively discourage patients from obtaining care," DMHC wrote. In the months since the state released its report, therapists say conditions haven't improved. Last week, the National Union of Healthcare Workers (NUHW) — which represents 1,400 psychologists, therapists, and social workers in Kaiser's Northern California region — threatened to go on strike amid contract negotiations, alleging that the healthcare organization continues to risk patients' lives with its inadequate care. Kaiser, workers said, has neglected to hire enough mental health clinicians and failed to address concerns raised by DMHC, doctors, and patients. Late Sunday night, however, NUHW called off a strike planned for Monday after it reached a tentative agreement with Kaiser for a three-year contract that the union said would help improve patients' access to care. But questions remain about Kaiser's compliance with the law and whether the new contract agreement will force the Oakland-based healthcare giant to make fundamental reforms. For years, Kaiser has faced complaints that it has prioritized profits, kept its mental health care system understaffed, and blocked patients in crisis from receiving consistent, individualized support (see our 8/13/14 cover story, "A Flawed Model of Care"). DMHC first issued a $4 million fine against Kaiser in 2013 due to a number of serious violations in its mental health services, and in the follow-up review this year, health officials said Kaiser had only addressed some of the deficiencies. Under state rules, health plans are required to offer non-urgent psychiatry appointments within fifteen business days and mental health appointments with non-physician staff (such as a social worker) within ten days. In the February report, DMHC said it reviewed 148 medical records in Northern California and found that 33 patients (22 percent) did not have access to intake or follow-up appointments within the timeframes required by law. In recent interviews, the most common complaint from clinicians was that patients who want weekly or semi-monthly therapy sessions often have to wait three weeks or more for a return appointment due to clinicians' packed schedules. The tentative agreement announced this week includes a provision guaranteeing that for every new intake appointment, clinicians would be allowed to schedule four appointments for returning patients — a ratio that could help eliminate the lengthy delays for follow-up sessions. But clinicians said the contract would only help solve the problem of hazardous wait times if Kaiser hires enough clinicians to meet the demands of patients and becomes fully compliant with the law. Even though nine months have passed since the February report, internal Kaiser records from throughout the region suggest that patients are still facing dangerous — and illegal — wait times. Last week, Fred Seavey, NUHW research director, provided me with extensive documents showing how Kaiser has made little progress since the DMHC report. Because of long wait times, patients either end up in group therapy sessions that are overcrowded and ineffective — or patients pay out-of-pocket for therapy outside of the Kaiser network, clinicians said. Patients who can't afford additional care and can't get regular sessions sometimes end up suffering mental breakdowns, forcing them to rely on Kaiser's emergency room while waiting for a new appointment, according to clinicians and patients' families. One September email from a Kaiser Oakland psychotherapist to her colleagues references a "waitlist that has been generated over the past several months" for a trauma therapy group. That means patients with serious diagnoses, such as post-traumatic stress disorder or acute stress, have been unable to access timely care even in a group setting, according to NUHW. And in an October email to her colleagues, Oakland psychiatric social worker Genna Brodsky requested help for a "depression stabilization group" that she said meets for only ninety minutes, but can include as many as fifteen patients. Sometimes multiple participants may be suicidal, she wrote. NUHW recently submitted both emails to DMHC investigators as evidence of Kaiser's neglect. "Kaiser's most important priority is access rather than quality of care," Brodsky said in an interview. "The hardest part for me has always been not being able to see patients as frequently as they need." She said that with her current caseload, patients who need one-on-one sessions must wait six to eight weeks for a return appointment. Some end up in groups, which don't help them recover or can make them more depressed. 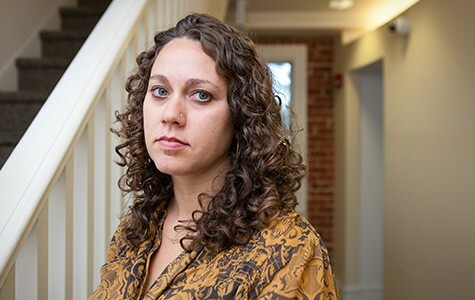 Brodsky said that in a typical week, she has twelve return appointments and eight new intake appointments, leads two group sessions, conducts five phone appointments, and does a four-hour triage shift. "I cannot be a therapist robot," she said. "They want us to be machines." The problems aren't limited to Oakland, clinicians said. In Kaiser's psychiatry department in Fremont, patients are still waiting three to four weeks for an initial intake appointment, according to NUHW's documents. A July 29 internal scheduling document showed that an individual seeking a non-urgent intake appointment would have to wait at least 16 business days, and patients seeking return appointments for specific clinicians would have to wait anywhere from 16 to 37 business days. In Fresno, a psychologist wrote an email to staff in March noting that the facility was experiencing a high volume of intake referrals for its Intensive Outpatient Program (IOP) — and encouraging staff to consider "the Crisis Group as an alternative to IOP if you cannot find an open Intake slot!" NUHW officials said the Crisis Group is significantly less intensive than IOP and functions more like a "class" than in-depth therapy. Union representatives argued that Kaiser should respond to increased demand by expanding its IOP services instead of pushing vulnerable patients into inappropriate group programs. Another Fresno document showed that in a two-day period in May, sixteen patients were scheduled for mental health appointments that exceeded the maximum timeframes under California's regulations — with some forced to wait 22 days. Kathy Ray, a child psychiatric social worker at Kaiser in Walnut Creek, said in an interview that her patients currently have to wait eight weeks for a return appointment. "It's devastating to me," said Ray, noting that she frequently works extra hours in an effort to schedule more appointments. "If I could get people in and see them more regularly, they would get better quickly." Kaiser representatives declined my repeated requests for an interview, but sent me lengthy email responses to my questions. Gay Westfall, Kaiser's senior vice president for human resources, did not deny the veracity of the internal documents NUHW provided, but argued that the union was distorting facts and that the threat of a strike was "about money," not patient care. Westfall also asserted that Kaiser has corrected or is in the process of correcting all the deficiencies that DMHC has identified. She added that across California, Kaiser has hired 411 additional therapists since 2011 and is "seeking to hire hundreds more mental health professionals throughout California by the end of 2015." But even though Kaiser has expanded its mental health staff, the union said the increases have not kept pace with the large growth in Kaiser enrollment due to the Affordable Care Act. Since 2011, Kaiser's California enrollment has increased by 1.4 million, or 21 percent. According to the union's data, Kaiser's total mental health workforce during that time has grown by about the same percentage — 22. But that means clinics are facing the same problems the DMHC originally identified in 2013, said Clement Papazian, president of NUHW's Northern California chapter of mental health clinicians. "Many of these patients are formerly uninsured people with multidimensional problems," said Papazian, who is a psychiatric social worker at Kaiser Oakland. "But [Kaiser] continues to want to save on labor costs at the expense of patients."